An Honors Graduate of the University of Maryland, Van has been a commercial real estate practitioner since 1985. As a member of Commercial Investment Real Estate Institute, his multi-disciplined approach provides clients with a level of knowledge related to Real Estate Investment and Taxation, Advanced Taxation, Marketing Investment Properties, Market Evaluation Feasibility, Decision and Financial Analysis, Advanced Leasing and Marketing Strategies. Likewise, as a member of the Urban Land Institute Professional Development Certification program, his insight into the dynamics associated with development process to include market research, forecasting, appraisal methodology, cash flow analysis, risk-management techniques, legal and environmental issues, entitlement procurement as well as the design and construction process have aided a number of clients over his tenure. A keen sense of market trends combined with unparalleled determination and commitment to success by providing clients with a high degree of integrity & service are attributed to Van’s ability to weather the many storms of change over his career. 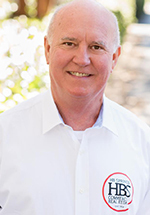 Specializing in Commercial Real Estate Sales and Leasing along the Grand Strand since 1985, Ken understands the local market, the complexities of today’s Real Estate transactions, and the actions necessary to successfully complete the transaction. 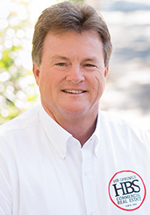 A native of Conway, SC, Ken is a Graduate of The University of South Carolina with an MBA Degree (1993), The Citadel with a BS Degree (1978) and a Graduate of The Commercial Investment Real Estate Institute attaining the Certified Commercial Investment Member (CCIM) designation (1997). He is also a member of the Coastal Carolina and South Carolina Association of Realtors. Ken’s substantial educational background, experience, and commitment to the Commercial Real Estate Industry provide him with the skill set necessary to assist clients in maximizing their Commercial Real Estate Goals.